Lionsgate has premiered the new full trailer and poster for “The Divergent Series: Allegiant” via the most appropriate source possible – Buzzfeed. In the new film Tris (Woodley) must escape with Four (James) beyond the Wall that encircles Chicago to finally discover the shocking truth of what lies behind it. The third installment in the blockbuster action adventure franchise stars Shailene Woodley, Theo James, Octavia Spencer, Naomi Watts, Miles Teller, Ray Stevenson, Ansel Elgort, Maggie Q, Mekhi Phifer, Bill Skarsgard, Zoe Kravitz and Jeff Daniels. 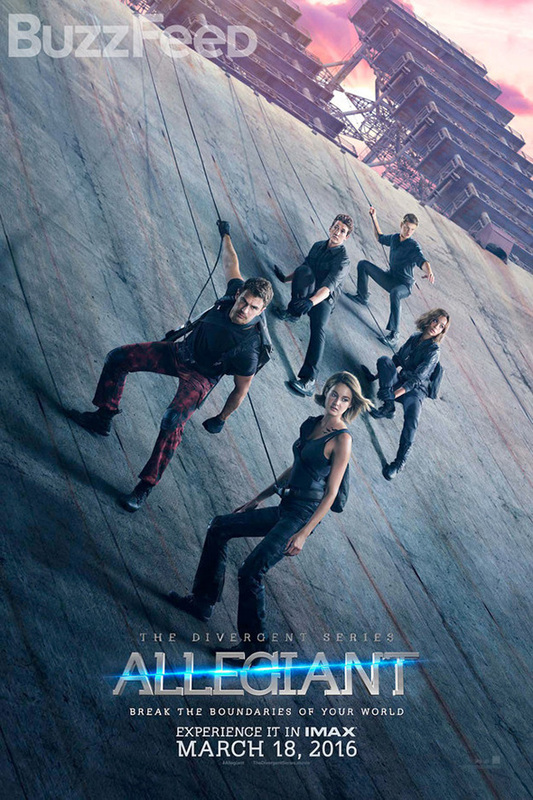 “Allegiant” is set to open March 18th 2016. Previous articleMara To Reprise Lisbeth Salander Role?